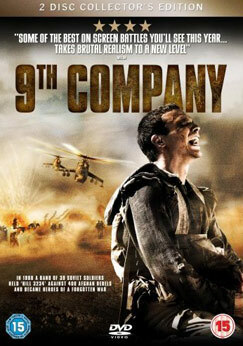 This entry was posted in Afghanistan, History, Infantry Combat, Reviews, Soviet Union, Trailer, War Movie and tagged 9 Rota, 9th Company, Afghanistan, History, Infantry Combat, Movies, Reviews, Soviet Union, War Movies. Don’t u think ……u have overpraised the movie……your review(5/5 rating) creates a prior expectation which this movie never fulfills…..after seeing some great war movies I cant put this one in same row….. I don’t think I did. 5/5 is my personal opinion and I still think it’s an excellent movie. There are far better ones, I agree but there are so many which a far worse. I usually don’t rate unless I really like a movie but then that doesn’t mean it will be among my Top 10 or 20. This one certainly isn’t. But Top 100.
u can try an Indian War film……Border (1997)…..
http://www.imdb.com/title/tt0118751/…….I will be eager to read your review on it…….anyway thanks…..an excellent blog. Thanks Rudra and thanks for the suggestion. I don’t think I’ve ever seen an Indian war film. That will be very interesting.